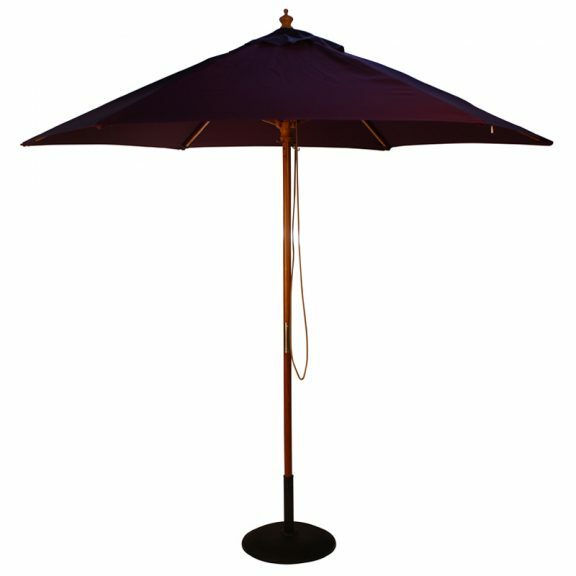 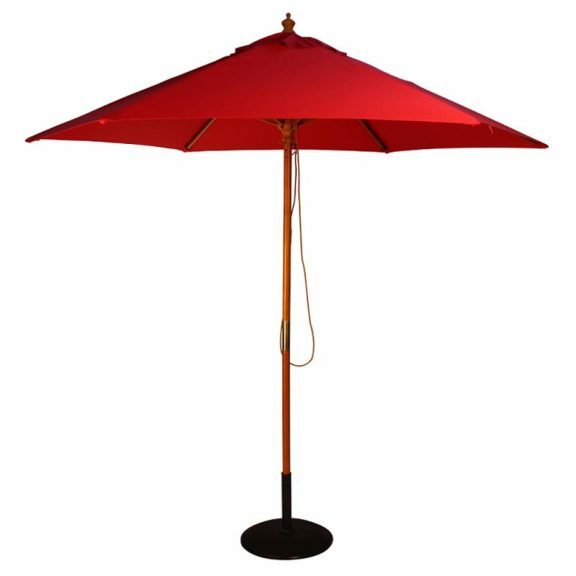 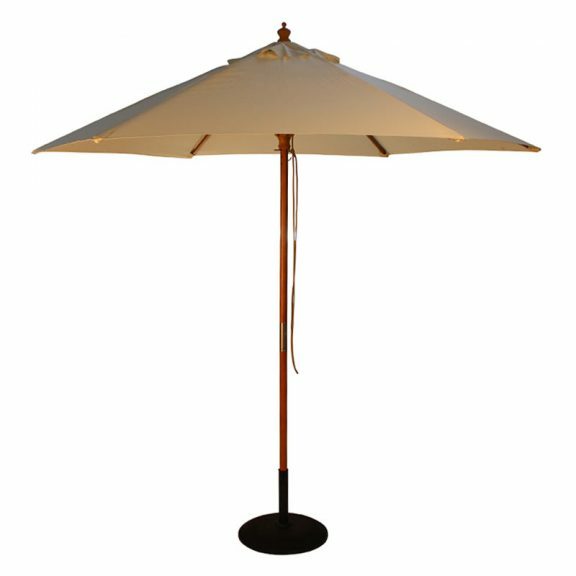 This wooden framed 2.5 metre diameter parasol umbrella is simple to open and close with it’s cord and pulley mechanism. 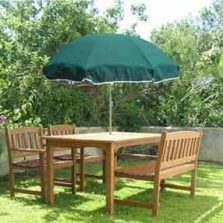 The shaft of this smart, large wood parasol is made from a high quality varnished wood. It’s made in 2 sections which screw neatly together, finished with a screw-on traditional decorative finial at the top. 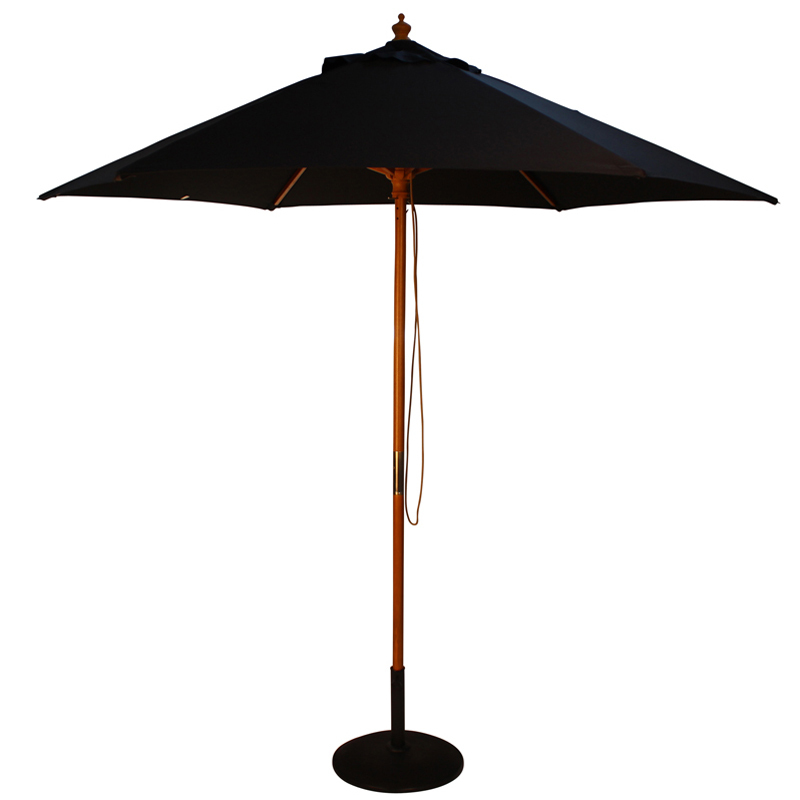 As well as this, the wooden parasol shaft has a diameter of approx 3.8 cm (1.5 inches). 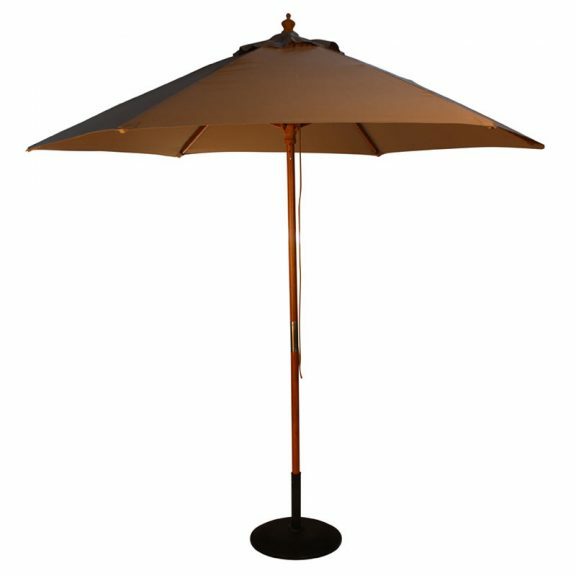 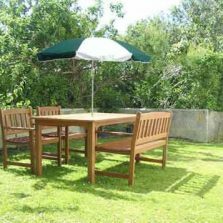 An affordable, good quality, heavy duty wooden parasol. 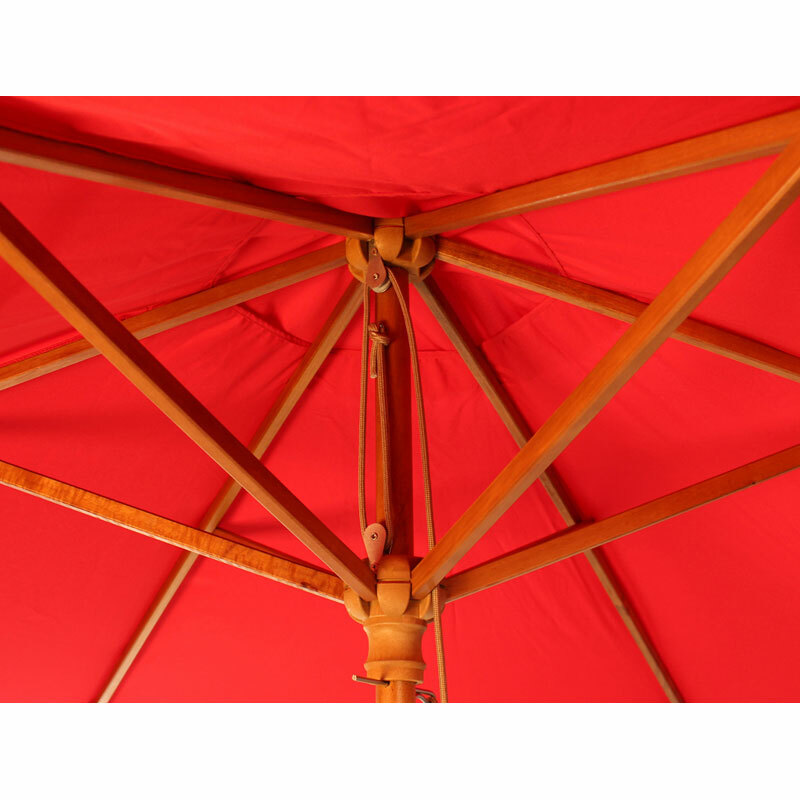 These pulleys have a thick durable polyester canopy. 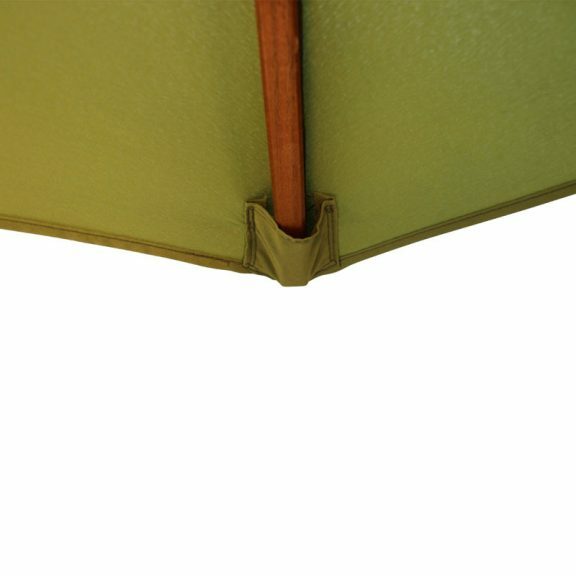 Vented at the top for improved wind resistance, removable (making it easy to wash and keep clean) and fade resistant. 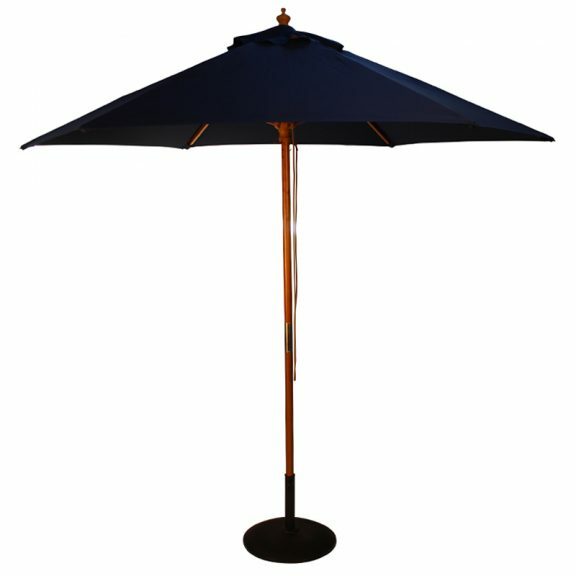 This is a top quality, commercial grade wood parasol umbrella that will keep you cool and dry. Also, a pulley parasol helps to smarten up any furniture set. 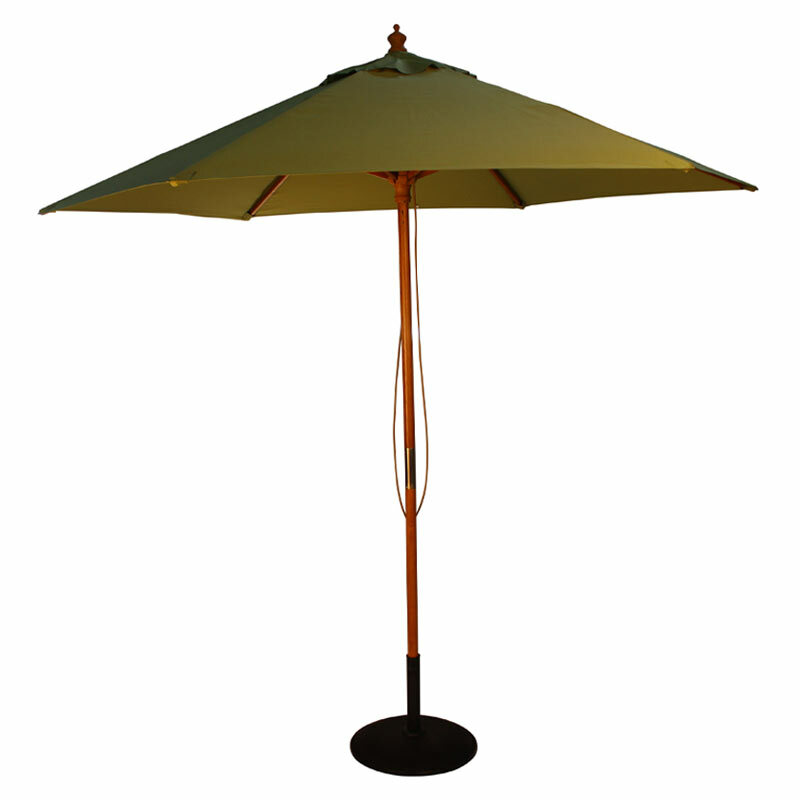 Easy to use with an external cord pulley system to hoist its expansive sunshade canopy. 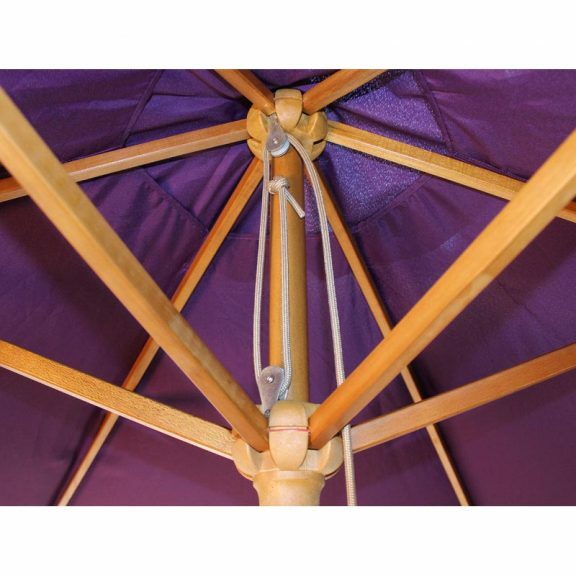 A simple peg and hole holding pin enables variable canopy height and tension adjustment. 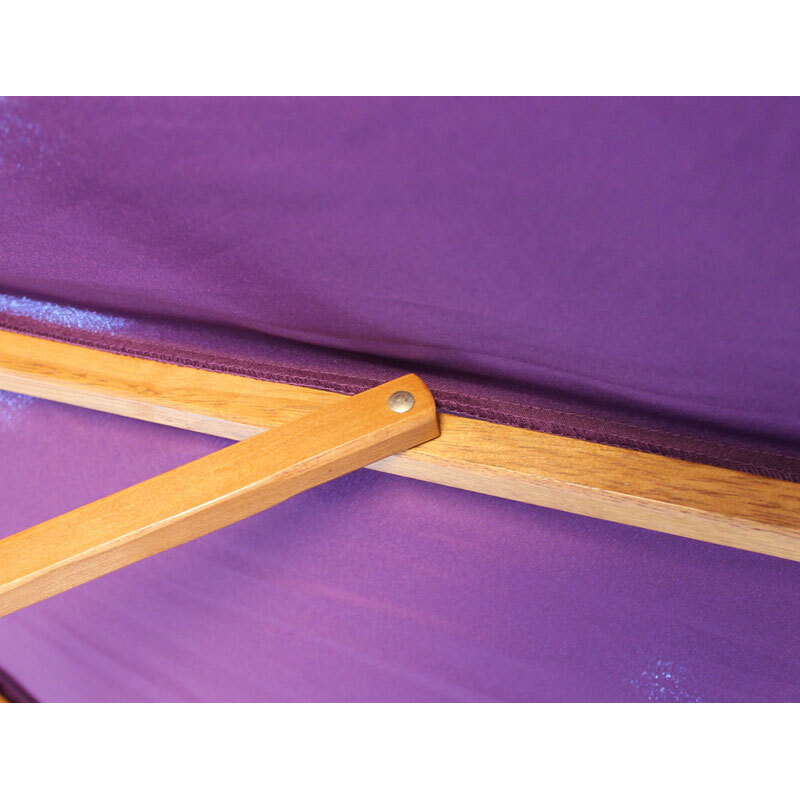 Designed to give many years of trouble-free use. 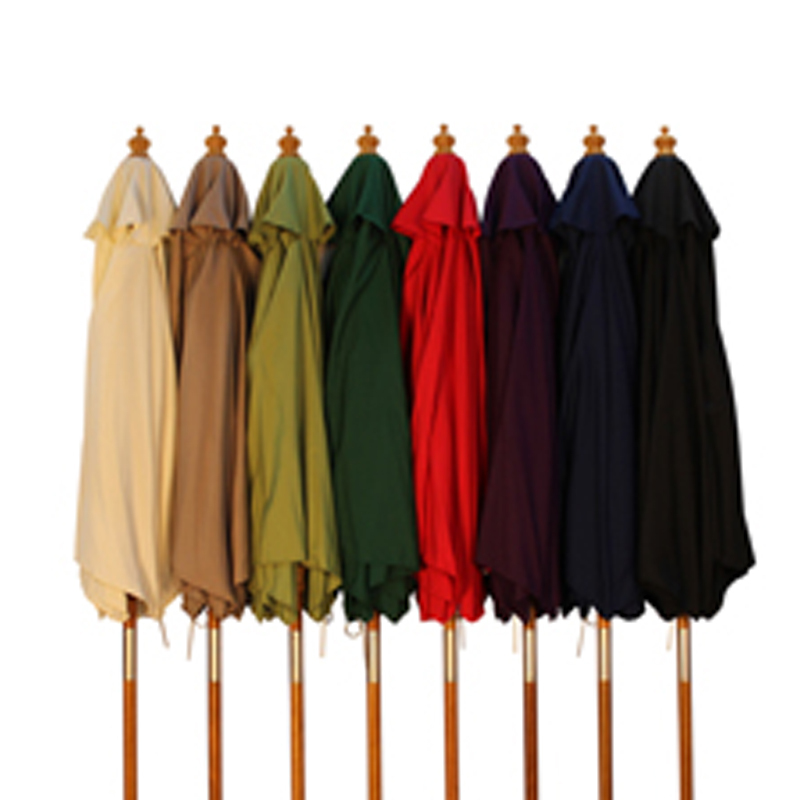 Also, these parasols are available in various canopy colours – just select the colour you prefer. Note: parasol bases are available separately. We sell a number of options; 15 kg concrete parasol bases. 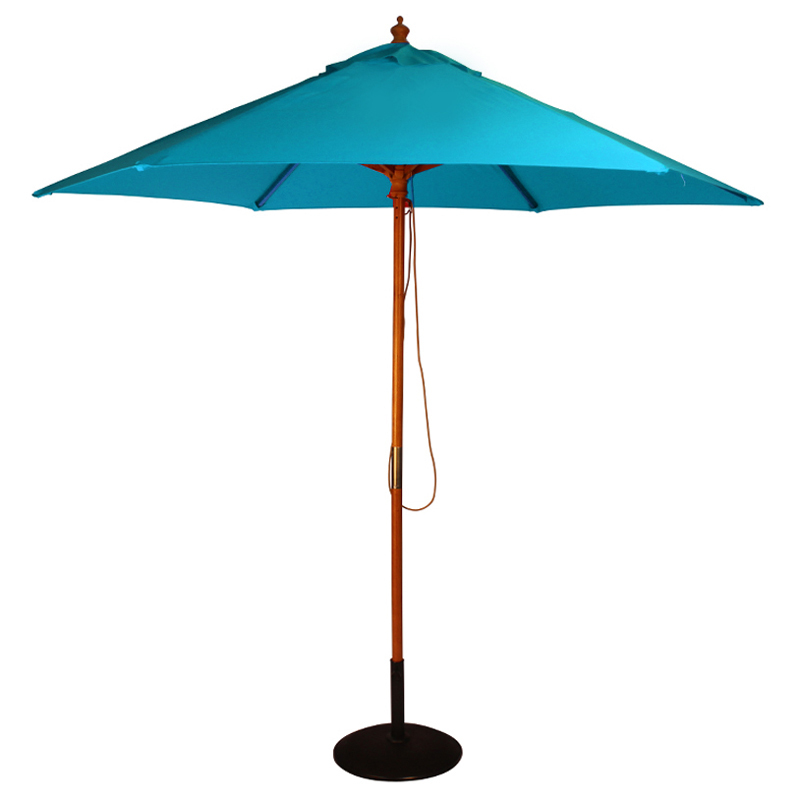 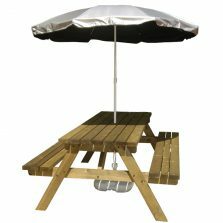 Available in a number of colours or a heavy duty 50 kg concrete parasol base. 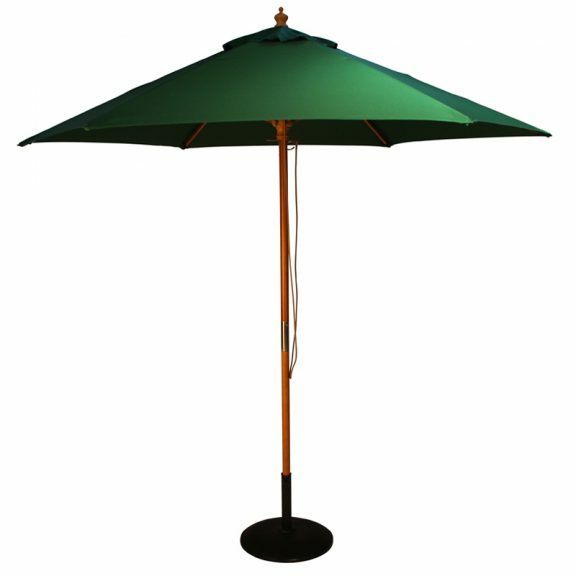 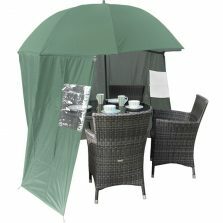 Take a look at the new Paralock fixed parasol holder / stand – click here to view our Garden parasols.